All lighting equipment requires routine maintenance, servicing and PAT inspections to ensure all components are operating at full capacity, and at Richard Martin Lighting, we can supply you with a ‘Maintenance Service’ that offers you and your company an affordable solution. As well as equipment hire, Richard Martin Lighting can provide a facility for on-going ‘Preventative Maintenance Programs’ which will help ensure optimum system reliability and equipment life. These services can be customized to meet each client’s specific needs, allowing facility personnel to proactively deal with potential issues and avoiding expensive failures. We will ensure your equipment stays reliable while improving overall performance and extending useful life. 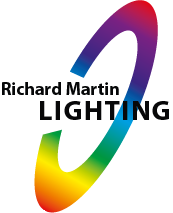 At Richard Martin Lighting we can repair and maintain many of the brands across the lighting industry, which include Clay Paky, Varilite, Martin Professional, GLP, GDS, Robe, Pulsar, Pixelrange, High End, Studio Due and Novalight to name but a few. We hold a variety of spares in-house, and can usually source parts within a short time frame.We can simply ‘deep clean’ a fixture or repair faulty equipment down to board level – just let us know what you need and we can build a programme around your requirements….simple as that!